THE ARTIE Academy’s motto of ‘Inspire, Encourage, Succeed’ is illustrated through Darcee’s personal journey since she was in Year 8. Darcee began High School like most students, a little shy and apprehensive about the road ahead. She didn’t attend school very much at the start of Year 8 and also admits she was not reaching her potential in class either. “In year 8 I wasn’t the best student. I would struggle to even get C’s in most of my subjects and my effort and behaviour was very bad because I just didn’t want to come to school anymore. I had just started but I didn’t want to show up or anything like that,” Darcee said. Since being introduced to the ARTIE Academy Darcee has improved her attendance and attitude towards school and education. 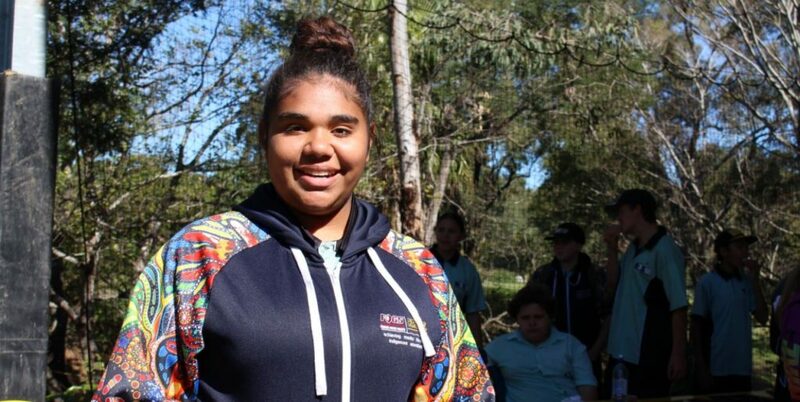 “Doing the ARTIE program has helped me realise that I need to be in school to learn. “My grades and my attendance improved a lot. “I would maybe show up a couple of days a week in Year 8 and now I’m here every day. Darcee credits the ARTIE Academy attendance challenges for getting her to school every day saying that the rewards motivated her to start. Darcee says she is proud of her achievements especially when she gets asked in public about her ARTIE rewards. “It makes me proud to be an ARTIE Academy student because when I go out in public wearing my ARTIE Hoodie, I have multiple strangers come up to me asking me what it was about, what it’s for and how they could get one. “I tell them you have to be an ARTIE Student and have over 90% attendance. 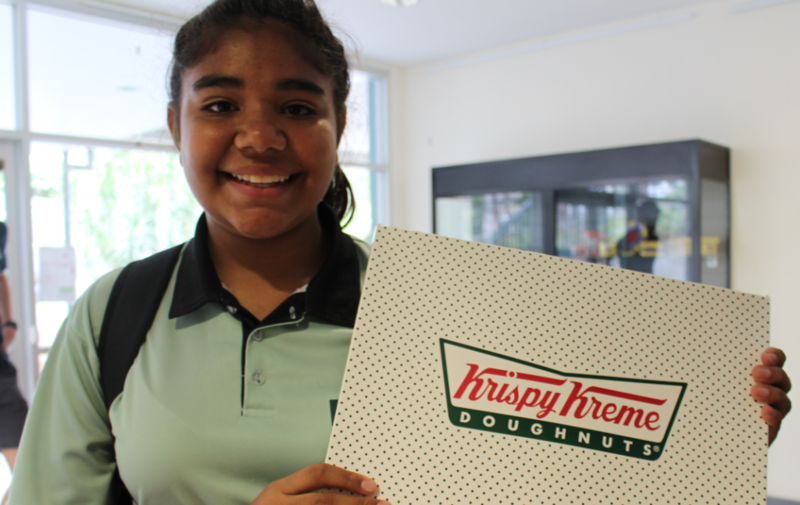 Now in Year 11, Darcee has been able to experience almost everything the ARTIE Academy has to offer. “I didn’t feel embarrassed or anything because I had a tutor, in fact everyone else in my class wanted their help too, everyone wanted an ARTIE Tutor. Daree is looking to the future and the opportunities available with the ARTIE Academy in 2018. 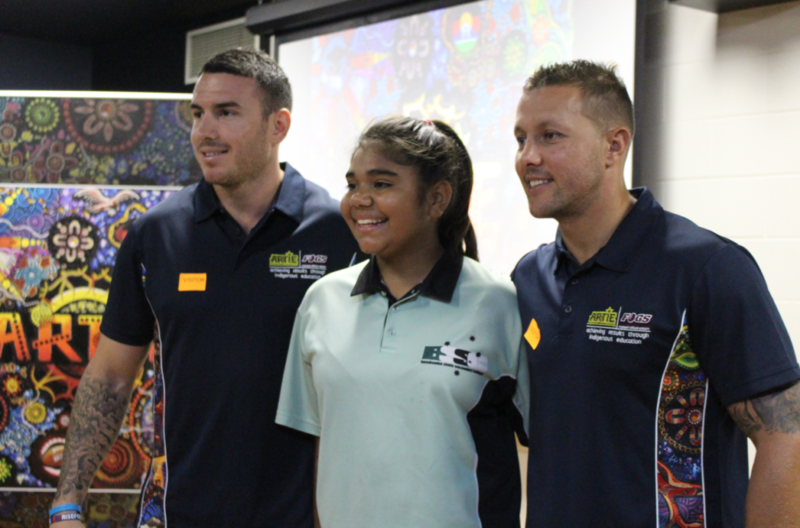 “When I’m in year 12 my little brother will be here in Year 7 and he will also be doing the ARTIE program too. If ARTIE didn’t continue I feel it would be a letdown because I have hyped it up to him so much. He was considering going to other schools but he is going to come here because ARTIE is here and it can help him just like it helped me. Dacree is currently completing her Certificate II in Construction at school and would like to pursue a career as an interior painter in the future.